The new 5 Day Weekend Movement is here. The great news is that you can be part of it if you decide. The first step is tofamiliarize yourself with Nik’s free report. This will give you a concept of what is possible. 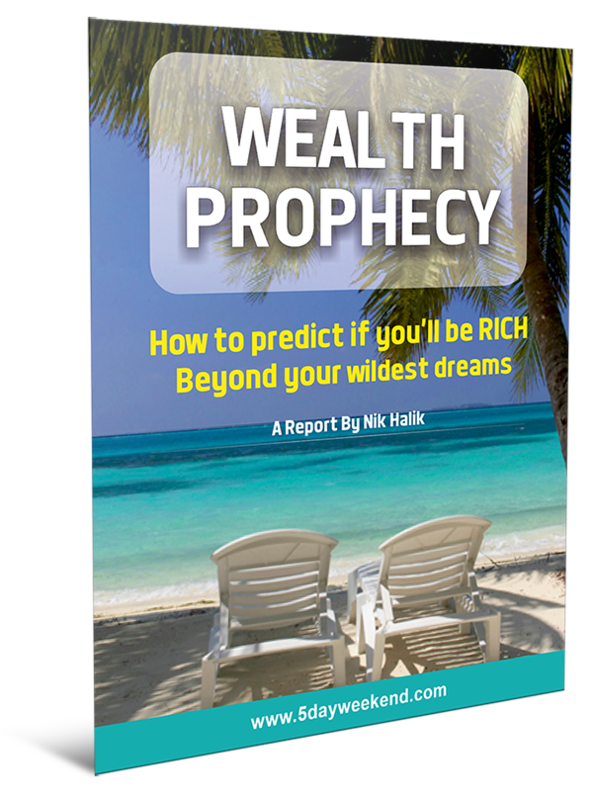 Click the button below to download Nik’s “Wealth Prophecy” report. And a very sincere welcome to the 5 Day Weekend Lifestyle.